You can’t bring up Częstochowa without first mentioning the Jasna Góra Monastery, the most visited Marian sanctuary in Poland and a site of immeasurable national importance. The monastery chapel contains the venerated 14th-century Black Madonna icon, which brings in millions of pilgrims a year from all over the world. 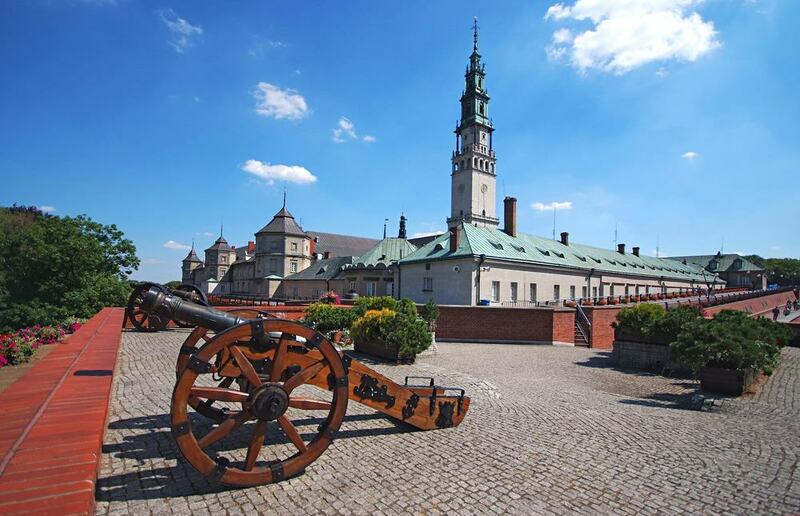 Częstochowa is completely oriented around this fortified monastery complex at the top of a 340-metre limestone hill, and has a monumental avenue leading down from the site through parks and into the new and old quarters of the city. The rugged limestone hills of this part of Silesia allowed the 14th-century King Casimir III the Great to build an immense system of castles to protect the city of Kraków. These strongholds are now on a magical walking route from Częstochowa to Kraków, known as the Trail of the Eagle’s Nests. A pilgrimage destination for hundreds of years, the Jasna Góra dates back to the 14th century when Władysław, Duke of Opole invited the Pauline Fathers to set up a monastery atop this hill. In the turbulent 17th-century this nationally revered site was defended by ramparts that are still in place. By then Jasna Góra had become one of the most venerated sites in Roman Catholicism thanks to the Black Madonna of Częstochowa, a 14th-century icon credited with a long list of miracles. People started coming from across Poland and other European countries in the 15th century. Pilgrims will pour through the Baroque gates en masse during the Marian feasts like Feast of Our Lady on 3 May, the Assumption on August 15 or Feast of the Birth of Mary on December 8. 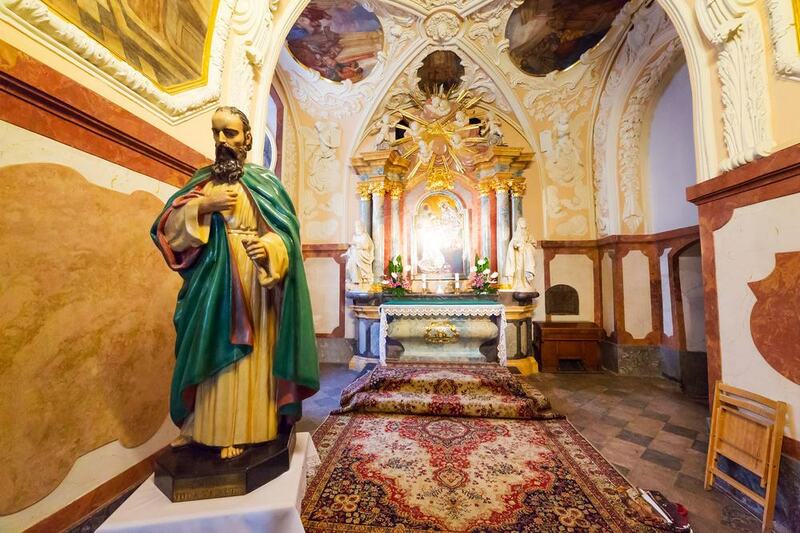 At Jasna Góra the Black Madonna is kept inside a chapel built when the monastery was founded in the 14th century. The icon can be seen in a chapel separated from the chancel by a trellis. Whenever you come there will be a crowd of worshippers, and according to etiquette you’re supposed to remain quiet and approach the icon on your knees. Aside from the icon there’s a lot of beautiful art in the chancel to distract you. The chancel walls are coated with frescoes in the Renaissance and Mannerist styles, while the Mannerist high altar from 1645 is sublime, carved from dark ebony, which is set off by glistening silver ornaments. The Black Madonna may be the main motive for making the trip to Jasna Góra but there’s a lot more to keep you at the complex. Aside from taking a guided tour of the monastery buildings and climbing the 519 steps to the top of the tallest church tower in Poland, there are some essential museums to check out. The treasury has valuable candlesticks, votive plaques, antique vestments and collections of rosaries donated by Polish kings and queens. The 600th Anniversary Museum is replete with Baroque painting, books, medals, chalices, glassware and votives for Lech Kaczyński, the president who died in the plane crash in 2010. And finally, in the Treasury of the Memory of the Nation, don’t miss the Nobel Peace medal won by Solidarity founder and former president Lech Wałęsa in 1983 and trophies taken by King Jan III Sobieskia after the epochal Battle of Vienna in 1683. 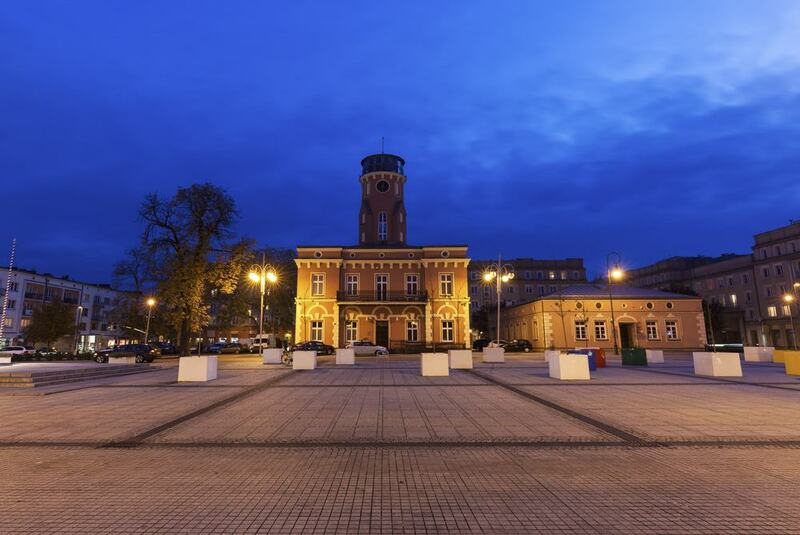 When the separate cities of Old and New Częstochowa were joined together in the 19th century, a new town hall was built on the south side of the new central square, Plac Władysława Biegańskiego. The town hall was first raised in 1828, but an extra storey and a circular tower were added in 1908. It is now the flagship building of the Częstochowa Museum, with an exhibition of local history and culture centred on paintings by the Częstochowa 20th-century artist Jerzy Duda Gracz. There’s a restaurant in the cellars, while you can scale the tower and on a clear day can see the ruins of Olsztyn 15 kilometres to the southeast. 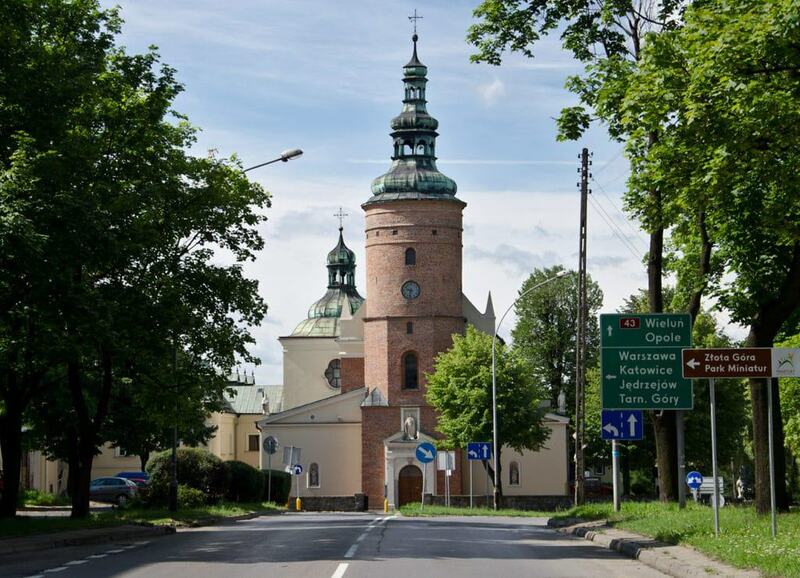 A simple walk south of Jasna Góra, this Baroque church is another stop on the Marian pilgrimage trail in Częstochowa. This building only exists because of a legend associated with the Black Madonna. The tale goes that in 1430 Hussite robbers abandoned the icon here after plundering the monastery, and a spring rose from the ground to clean the image. The church replaced an earlier 15th-century chapel in this spot, and in the 1700s a new Baroque chapel was erected over the spring. Tourists and pilgrims can drink from the spring, which has been ascribed healing properties. This old match factory is an enlightening document of industrial history. It was established in 1881, and functioned right up to 2010 making Poland’s iconic black cat brand matches. What’s remarkable about the factory is that the machinery on the production line didn’t change from the 1930s until the factory closed. 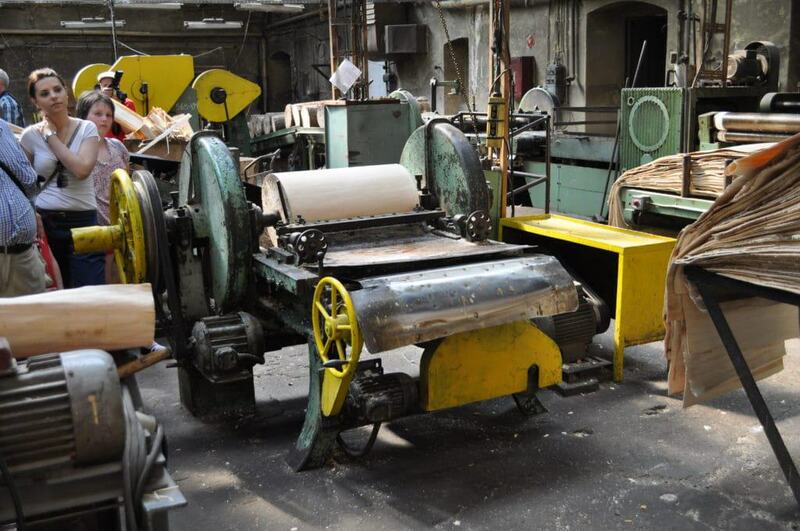 These machines are in working order and on a guided visit you can watch aspen or alder wood being sliced down, dipped in ammonium dihydrophosphate, dried, polished, dipped in paraffin, dried again and then boxed. You can take one of these boxes home with you after the visit. There are also two exhibition halls with ingenious matchstick sculptures and numerous vintage matchboxes from the interwar years. 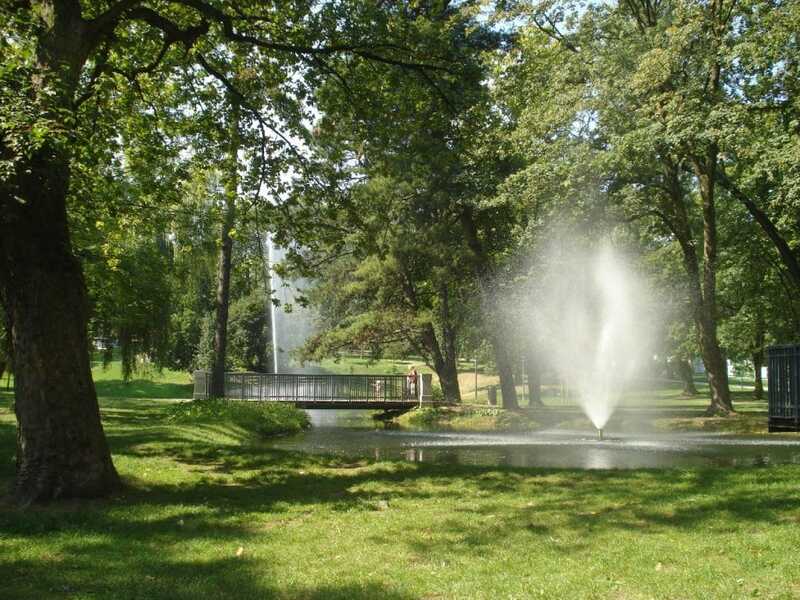 Down the hill on the eastern side of Jasna Góra is a pair of neighbouring parks, Staszic and 3 Maja, adding up to almost 12 hectares. 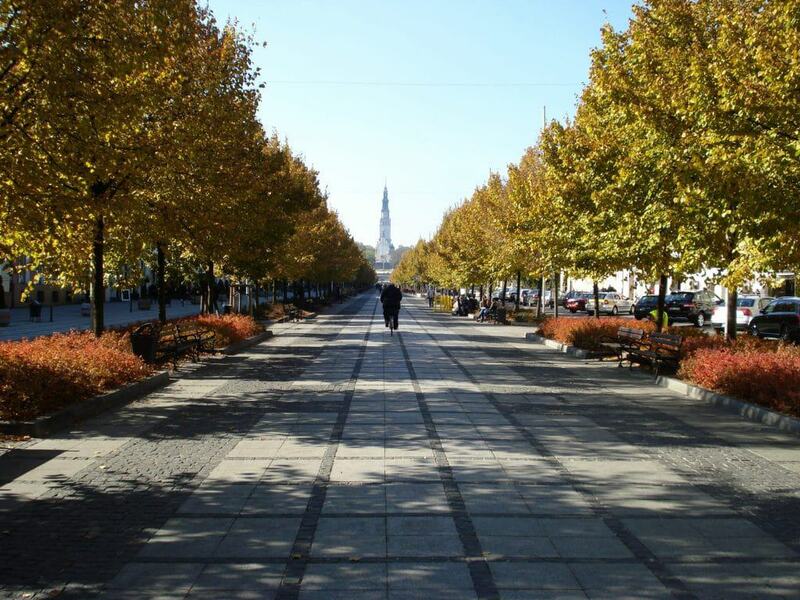 The two are split by III Aleja, the grand avenue leading to the monastery. Both are littered with monuments and minor visitor attractions and have a mantle of mature deciduous woodland. Staszic, the older of the two, has around 1,300 trees date back as far as 150 years and nine that are protected as Polish monuments. This park also has a smattering of monuments from 1909, built for the Great Industrial and Agricultural Exhibition. Among them are a traditional homestead, a former observatory, an Art Nouveau pavilion for temporary exhibitions and a cute gazebo for bands in summer. 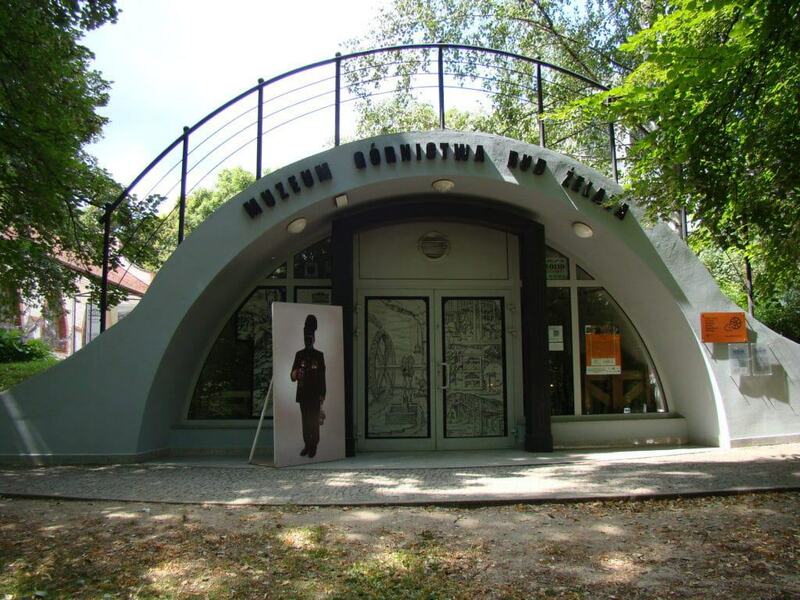 In Park Staszic there’s a museum paying tribute to Częstochowa’s iron ore industry. The attraction is subterranean, made up of a small network of replica mining tunnels that were dug in the mid-1970s. In 1989, when the museum opened, they were equipped with machinery like pumps, excavators, drills and carts from the defunct Szczekaczka iron ore mine. The neatly packaged museum has recently come through a renovation and will appeal to anyone keen to know more about 20th-century industrial technology and Częstochowa’s heritage. The full name of this prestigious two-kilometre avenue is Aleja Najświętszej Maryi Panny (Avenue of the Blessed Virgin). With two lanes of traffic flanking a central tree-lined promenade, Aleje was built at the start of the 19th century as a grand artery between the old and new cities. Before that, the route was used by pilgrims making their way up to Jasna Góra. 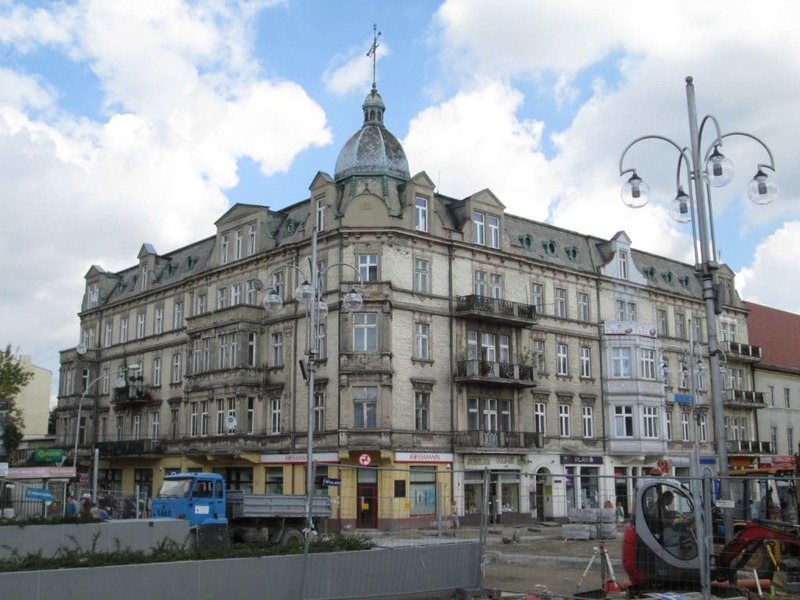 Later, in the 1800s Częstochowa’s factory owners built themselves extravagant town houses on the avenue. 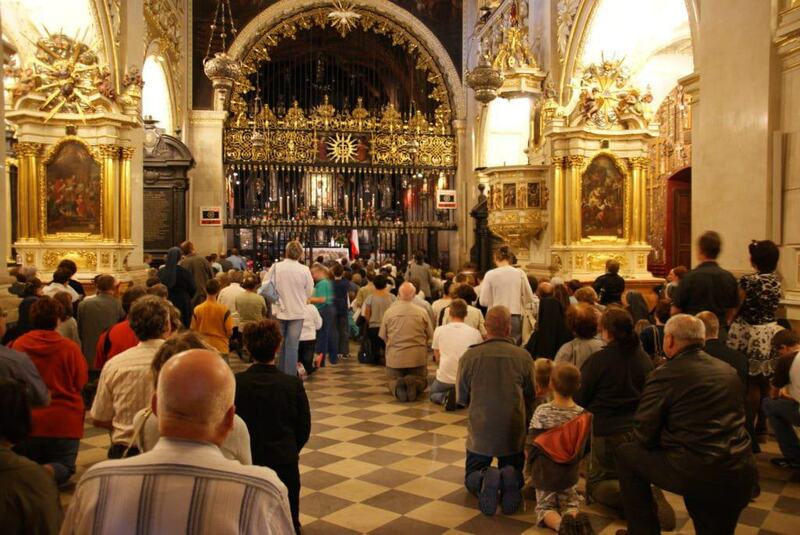 You can join residents out for their daily walk, pick up an ice cream and sit down for a meal at one of the restaurants, but it’s a good idea to avoid the busiest pilgrimage dates like the Feast of Assumption in mid-August. The section between the parks, III Aleja, was completely pedestrianised in 2007. On Aleje, this art gallery has one of the most complete collections of the works of the celebrated 20th-century “Dystopian Surrealist”, Zdzisław Beksiński. His fantastical works can appear rather morbid, but tend to have a wry sense of humour and have influenced a new generation of creators like the film director Guillermo del Toro. The Beksiński gallery boasts a special light design and is sound-tracked by the French composer Armand Amar. 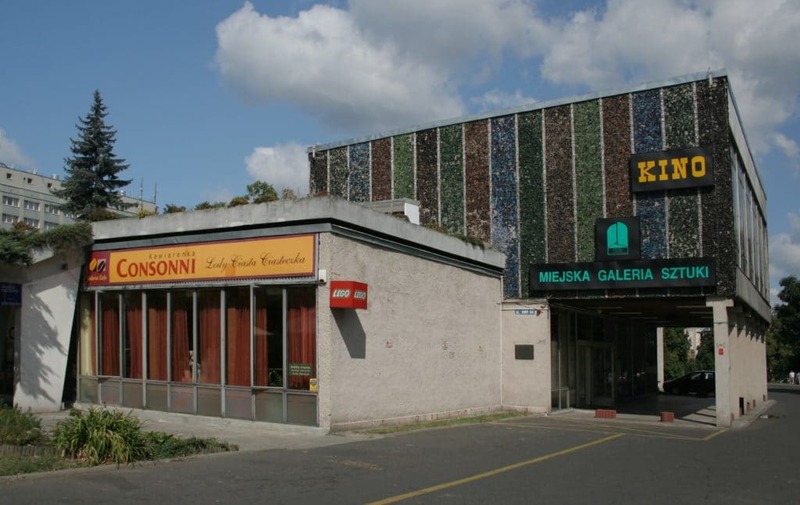 The remainder of the gallery is for temporary shows of contemporary art and photography by leading lights of the Polish contemporary art world. On the streets of Częstochowa you may catch sight of this refined-looking townhouse on the corner of I Aleja and Ulica Wilsona. This Eclecticist building from 1903 is in the Viennese and Berlin styles and was built for the textile factory owner Adolf Franke. One of the things that makes it so interesting is that during the Second World War it was right on the boundary of the Częstochowa Ghetto. And in the early days many Jews were able to escape via a staircase in the building. After the ghetto was “liquidated” Franke’s House became a German military hotel and hospital. 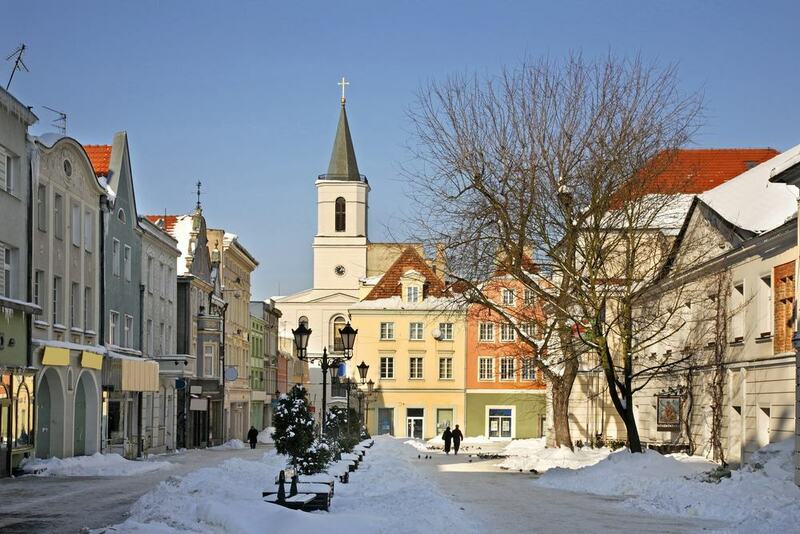 Although you wouldn’t know it today, in the Middle Ages this modest square was a meeting point for pan-European trade routes. It was the centre of commerce for many miles around, and its importance was marked by a town hall. This lasted from the 1400s to 1812 when it burnt down in a fire during the Napoleonic Wars. On the south side of the square the building’s foundations have been marked out with a little monument. The Stary Rynek has a time-worn quality to it, but there are 13 listed monuments, most of which are 18th and 19th-century tenement houses on the northern and eastern edges. On a limestone outcrop a few minutes southeast of Częstochowa are the picturesque ruins of a 14th-century castle. This was once part of an extensive system of fortifications put up by King Casimir III the Great to defend Lesser Poland from the Czechs. The castle was contested by princes and noblemen, and was besieged several times in the 1400s. But the state of ruin that we find the castle in today was caused by the Swedes who partly demolished the fortification in 1655 during The Deluge. More than 350 years later the castle is in decent condition. The best surviving piece is the 35-metre circular prison tower, predating the rest of the site and going back to the 1200s. Olsztyn Castle is the northernmost of a line of perched fortifications, mostly from the 14th century and belonging to Casimir III the Great’s defensive system. Today the castles are on Poland’s favourite walking trail, taking in 25 castles in Silesia and Lesser Poland. The trail is just over 160 kilometres long and weaves through though the Kraków-Częstochowa Upland, also known as the Polish Jura for its exposed limestone geology. There’s also an accompanying bike trail, which follows a similar course and is 190 kilometres long. 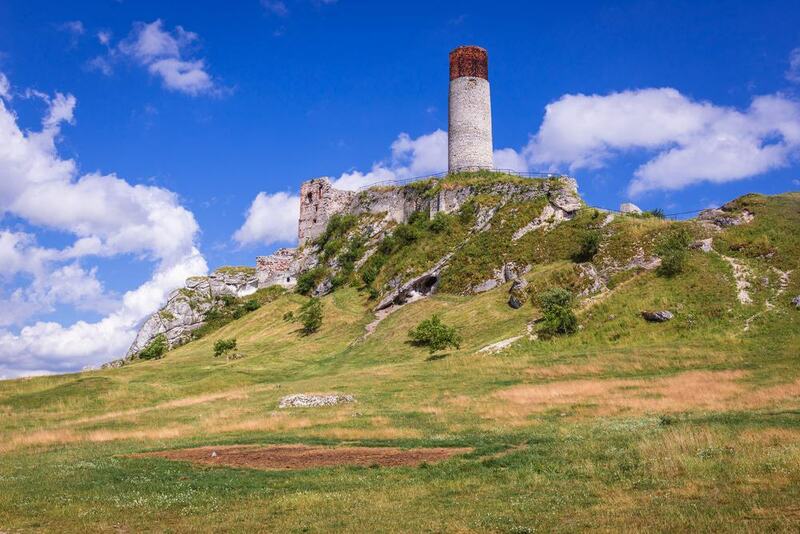 Now, if trekking through craggy terrain isn’t your cup of tea you could simply drive to other nearby ruins at Mirów and the Royal Castle at Bobolice, both within half an hour. On Częstochowa’s eastern flank is a 281-metre hill that was once the site of a limestone quarry. Many of the city’s buildings were made with stone sourced on Złota Góra. And now the sheer white cliffs cut by the quarry reflect the sunlight back onto the city during the day, which is where the name Golden Mount comes from. Złota Góra is also a scenic vantage point, and you’ll have no trouble identifying Jasna Góra on the horizon to the west. On the hill’s lower reaches is a miniature park, where Christian monuments like St Peter’s Square in Rome and the Church of the Holy Sepulchre in Jerusalem have been rendered at 1:25 and 1:10 scale.